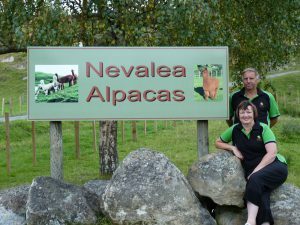 We are Leonie and Neville Walker and our journey into the amazing world of alpacas began in July 2007 with the purchase of 2 females with cria at foot, followed by a few more, until we now farm over 750 alpacas. Nestled in the hills of the King Country on the adventure highway 16kms north of Taumarunui we farm these beauties together with our sheep and cattle. 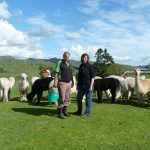 Fibre and genetics have always been an interest for us both, having had a sheep stud for several years and also working with stud cattle. 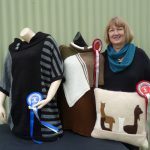 Knitting and design was once an interest which was put in the cupboard until the alpacas came along, then the knitting machine came back out. Having this luxurious fibre with a natural colour pallet of whispery whites, earthy browns and beautiful blacks was very appealing, and we wanted to make the very best use from our alpaca fibre. 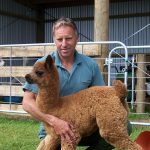 Our shearing starts from October, Neville shears all our alpacas, by himself, he has the task mastered to a one man operation and also shears about 200 other alpacas off farm and to date shears all our sheep. 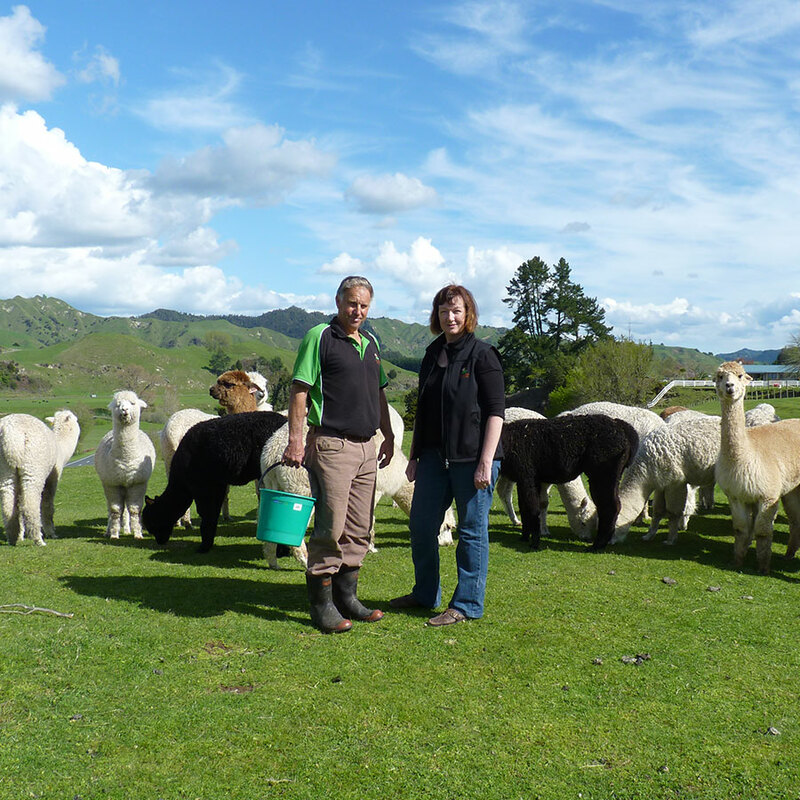 We aim to get the fibre off the alpacas and into a usable product before the next shearing time. 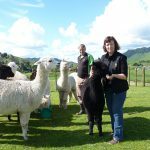 This stage is exciting and rewarding, following the fibre grown by our baby alpacas and premium fine fibre from the herd through the cycle until it returns back to the farm again in the form of yarn ready to be knitted into garments. Leonie does all the designing, drafting up the patterns and sets the work for the knitters and completes the finishing. We now operate as a family business, proud to have our eldest daughter, Kellie working with us, not only knitting the garments, but working on the business with us. The next generation also lend a head, assisting in training the alpacas. We produce designer garments for women, men, children and babies, and have a large range of accessories and homeware. Proudly 100% New Zealand grown and made.